How Much Tiger Is Left in the Tank ? NEW YORK, NY—Give Tiger Woods credit in knowing how to time his announcement for his return to active competition. Woods announced on his Website September 7 and made sure his action would not in anyway conflict with the upcoming BMW event that starts today in Indianapolis at Crooked Stick. The last time Tiger competed — it seems like eons ago — came at The Wyndham Championship in Greensboro, NC in August 2015 where he tied for 10th. After that event Tiger had back surgery in the middle of September and another related procedure in October of that year. If all works Woods is set to return to competition on October 13 — 416 days since his last appearance. Woods is planning to play three events before the 2016 calendar concludes. The events would include the Safeway event — formerly the Frys.com Open in Napa, CA. Tiger plans to return and compete in the Turkish Airlines Open in early November — an event he finished in a tie for 3rd in 2013. The final planned appearance would be in his foundation event — the Hero World Challenge in the Bahamas in early December. The key operative word in all of this is “hopes” to play. The ongoing saga of if/when Tiger returns to competition has been both fascinating to follow and also quite deflating. With Woods deciding to return to competition — the interest will be high to see if Tiger truly has much left in his tank. His record of 79 PGA Tour wins — three short of the all-time mark by Sam Snead — and 14 major championships — the last coming in the ’08 U.S. Open — has been on hold for quite some time. He was absent from all four major championships this year for the first time and in ’15 missed three cuts in the four majors — also something never done before. Woods will be a presence as a vice captain for the USA squad at this year’s Ryder Cup Matches and frankly just the presence of Tiger could prove to be a distraction to what the American team is looking to accomplish. So much in golf has happened since the last time Woods played in a PGA Tour event. A new and younger crop of players has emerged. Many respect what Tiger has achieved — but they view his record as more “past” than anything of immediate concern. Can Tiger demonstrate the capacity to play golf at the highest of levels? Does he have the passion to show he’s still relevant when world class golf is discussed? Americans love comeback stories and if Woods can indeed return anywhere close to form you can be sure many eyes will be on him for sure. But, Tiger was plenty of miles on his tires. The tank is drifting towards the “empty” red light. Woods has gone through several surgeries and in past “comebacks” the results have been anything but lasting. To say the skepticism is high would be a gross understatement. Tiger Woods will no doubt be listed among the top 3-4 players who have ever played golf. That is set in stone. What is undetermined is whether there is a final chapter to be written about his golf career. Clearly, Woods would like to prove all of the naysayers and detractors wrong. Unfortunately, the storyline doesn’t always include a Hollywood story line akin to what Jack Nicklaus did at The Masters in ’86 — winning his final 18th professional major at 46. Woods set a new benchmark for golf that may never be seen again. His winning percentage of over 25% for all of his PGA Tour starts is mindboggling. Ditto on the major side — winning over 21% of the time he has teed up in golf’s premier events. The best that others have done is not even reach double digit percentages. The difficulty is can Tiger adjust himself to the reality that the Tiger of early years is no longer around. That can prove to be a major hurdle — not just physically but mentally. Can Tiger play through the possibility that he may need to take a few steps backwards before proceeding ahead? That’s hard to know. The saga of Tiger starting and stopping and then making announcements of returning has grown stale. It’s time to show whether he really does want to stay the course — no pun intended. The world of professional golf would certainly gain big time with a Woods that can compete successfully — that translates out to winning again. Johnny Miller opined that Woods still has the wherewithal to win 7–8 more times. That clearly remains to be seen. 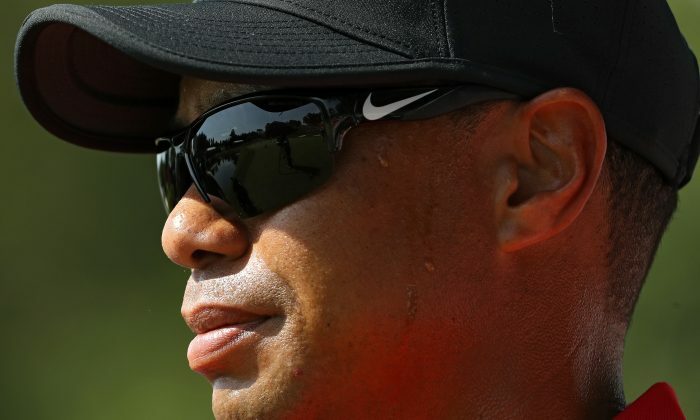 Only Tiger Woods knows for sure if this “comeback” is the final push to write the end chapter to his career in a manner befitting what he did in years past. Tiger’s gas tank is nearing the fumes level — it’s time for either a refill or the car he’s been driving will permanently stall. We shall soon see.